By Freeola Support on 18th December, 2017 | 2 Comment(s) | 1 out of 2 people found this article useful. Welcome to the Freeola support pages. 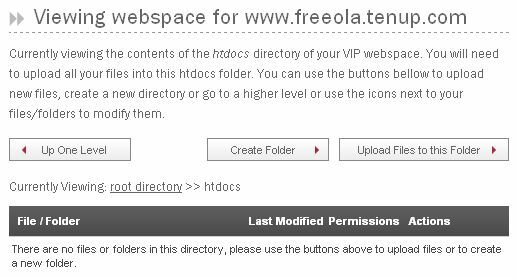 This guide is designed to help you upload files to the VIP Hosting service using the MyFreeola Web FTP Option. For more internet help topics please visit our main Support Page. Firstly you will need to login to your MyFreeola account and select VIP Web Hosting from the left-hand navigation. You should then see all of your VIP Hosting subscriptions listed. In order to proceed you will need to select Go To Settings from beside the relevant subscription. MyFreeola will now display the details relevant to your VIP Hosting. Select Upload Files to continue. You will now be given two options, from these you will need to select 'I want to upload files using the MyFreeola Web FTP option, via my web browser' and select Continue. A page should display entitled 'Viewing webspace for www.example.freeola.com' where wwww.example.freeola.com is replaced with your website addresss, if this shows, you are now within the MyFreeola Web FTP facility. The default location is the htdocs directory and if you are uploading your website for the first time you shouldn't need to change this. Select 'Upload Files to this Folder' to continue. You will now be shown a Java applet which allows you to upload files, as this applet needs access to files on your computer to upload them, your browser may give you a warning. You will need to ensure that you do not block this applet. If the upload applet does not display and you do not have Java installed or do not have the latest version, you may need to visit the Java website for the latest version. Select Browse and locate the files on your computer that you would like to upload. 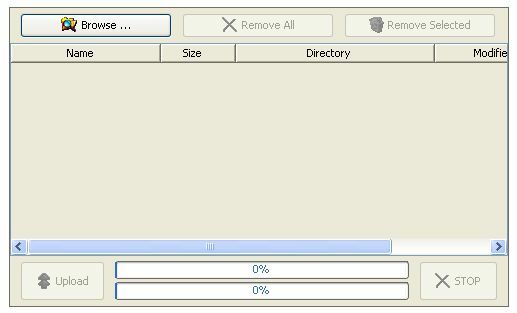 If you then select Open, the files should be listed in the Java uploader. You will need to ensure that the first page of your website is called index.html, index.htm, or index.php for your website to display correctly. 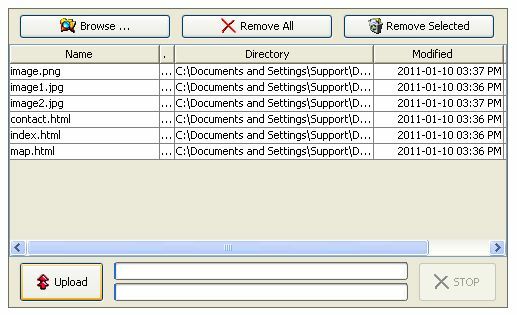 You should also ensure that this file is directly within the htdocs folder and not within any further sub-directories. When you are happy that all of the required files and folders are listed, select Upload to start copying the files across. Once complete a prompt should appear above the uploader stating "Success! Your files have been uploaded". Select Return to Listing to be taken back to the webspace view where you are able to confirm that the files and folders are in the correct locations. Congratulations, your website should now be live on the Internet. To confirm that this is the case, you should visit your website by selecting Back to VIP Settings, then View This Site. Please note that if you have recently assigned your domain name to your hosting, due to the nature of DNS, it can take up to 24hrs for the change to propagate and your domain name to correctly point to your website.